Ross Fitzpatrick’s commitment to British Columbians is demonstrated in many ways: business leader, volunteer, and ten years as a member of the Canadian Senate. 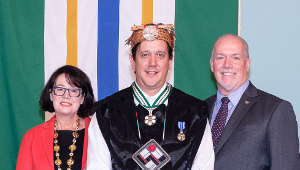 His special concern for First Nations has benefited the Okanagan Nation economically, environmentally and spiritually. During his career, Mr. Fitzpatrick founded businesses in the aerospace, oil and gas, and mining industries. Business always meant caring for the environment. One of the mines he developed was recognized as a “model mine” by the U.S. Bureau of Lands and Management and it won various environmental awards. In 1986, Mr. Fitzpatrick turned his attention to agriculture as he launched CedarCreek Estate Winery and pioneered planting vinifera grapes to produce premium wines. He remains the proprietor of the winery and is Chairman of Greata Ranch. 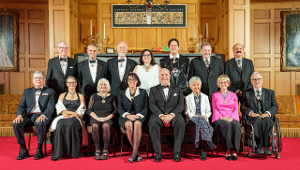 From 1998 to 2008, Mr. Fitzpatrick served in the Senate representing Okanagan-Similkameen. 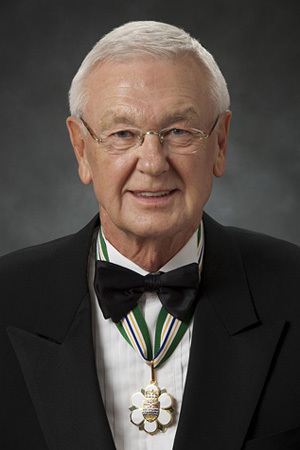 His work helped provide federal funding for projects including infrastructure upgrades, women’s shelters, detox centres and airport expansion. He was key in reacquiring Spotted Lake, a healing ground for First Nations, as well as helping establish the first aboriginal winery. 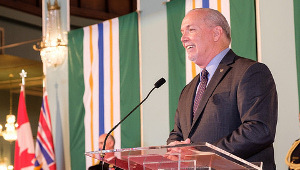 He supported the Westbank First Nations Self Government Agreement and the First Nations Fiscal Agreement. He was involved in Senate committees and guiding a range of bills to benefit parks, small business and pension plans. 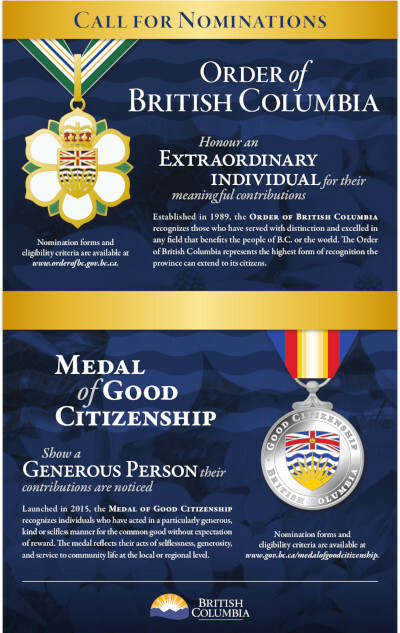 He has served on numerous boards and societies and has received awards such as the Confederation Medal, the Queen Elizabeth II Golden Jubilee Medal, the Freedom of the Town of Oliver, the Freedom of the City of Kelowna and Westbank First Nation Recognition.